Migrant Forum in Asia (MFA) welcomes the decision of the Committee on Migrant Worker to elaborate a new general comment (No.5) on migrants’ right to liberty and freedom from arbitrary detention. Detention has become a default legal and policy response to dealing with the “problem” of irregular migration wherein undocumented and irregular migrants are detained on administrative as well as criminal grounds, especially in countries where non-documentation and irregularity is criminalized. In Asia, migrant workers continue to be vulnerable groups in the country of destination due to unstable migration management regimes. This vulnerability is exacerbated according to their nature of work (e.g: domestic work), documentation status (e.g: undocumented or irregular) and in some cases, ethnicity or nationality. Despite this, the practice of arbitrary arrest and detention continue particularly with respect to migrants facing an irregular or undocumented status; as we will observe in the paper, unlike what international covenants have established and civil society urge, arbitrary detention is carried out with impunity and rarely considered a last resort. The practice of arbitrary arrest and detention has been understood to be a gross violation of human rights and has been recognized as such in several international covenants. The Global Compact on Migration has several objectives that mention arbitrary detention and the rights to be accorded in the case of detained migrants. 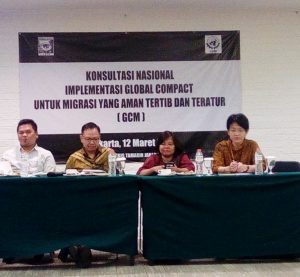 Also, it is to be noted that all the countries whose inputs have been included in this paper are signatories to the Global Compact for Migration (GCM) (except for Singapore who abstained from voting). Objective 13 of the Global Compact on Migration explicitly states that migration detention must be used only as a measure of last resort and urges member states to work towards alternatives. It states, in particular, that detention must follow due process, be non-arbitrary, be based on law, necessity, proportionality and individual assessments, is carried out by authorized officials, and for the shortest possible period of time. It further has several provisions that specify actions signatories need to engage in to enable a rights-based approach to any detention of migrants. These include improvement of monitoring mechanisms, data collection, policy and legislation revision, provision of access to justice, information dissemination, mitigate long-term effects on migrant well-being – all from a rights-based approach. Objective 10 on the prevention and eradication of trafficking also addresses the need for states to engage with vulnerabilities of trafficked or at-risk migrants by facilitating access to justice and safe reporting without fear of detention, deportation or penalty and focusing on prevention, identification, appropriate protection and assistance, and addressing specific forms of abuse and exploitation. Objective 8 on establishing coordinated international efforts on missing migrants also mentions the necessity of enabling communication for migrants at all points, including those at points of detention. As civil society, MFA considers detention as a practice that violates basic human rights, the abusive conditions being symptomatic of unsatisfactory migration management regimes and a blatant disregard for rights-based governance. The particular contention with migration frameworks designed from the legalistic and practical approach is that without checks and balances in the form of human rights monitors, it becomes a slippery slope to put blind faith in authoritarian measures which often leads to a migration regime that is based on exploitation, abusive practices and lack of social justice. 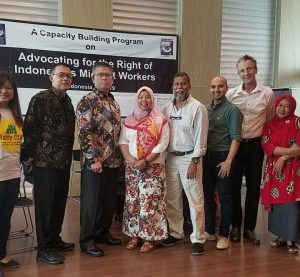 Hence, civil society considers the rights-based approach as both the foundational as well as aspirational basis for migrant-focused initiatives and endeavors in advocating for the basis to be significantly represented in migration governance.